Welcome to sunny San Juan, Puerto Rico, where a pristine stretch of beach, blue skies, and a tropical landscape create a relaxing haven like no other. Discover an expansive resort, home to tranquil pools, a full-service spa, tennis courts, beach cabanas and delicious dining outlets. Be part of our unique story: Host conferences, large exhibitions, rewarding incentives and beautiful beachside weddings in the first international Hilton. Searching for paradise? You’ve found it. Discover 17 acres of lush gardens, a secluded beach and endless sun. The first international Hilton hotel and birthplace of the Piña Colada – explore our unique history. Everything’s here: A tour desk, gift shop, convenience store, car rental and much more. Things to do. Places to see. Memories to be made. The heart of Puerto Rico is moments away. You deserve a break. We’ll make sure you get it. Check out our offers and packages to help you save. 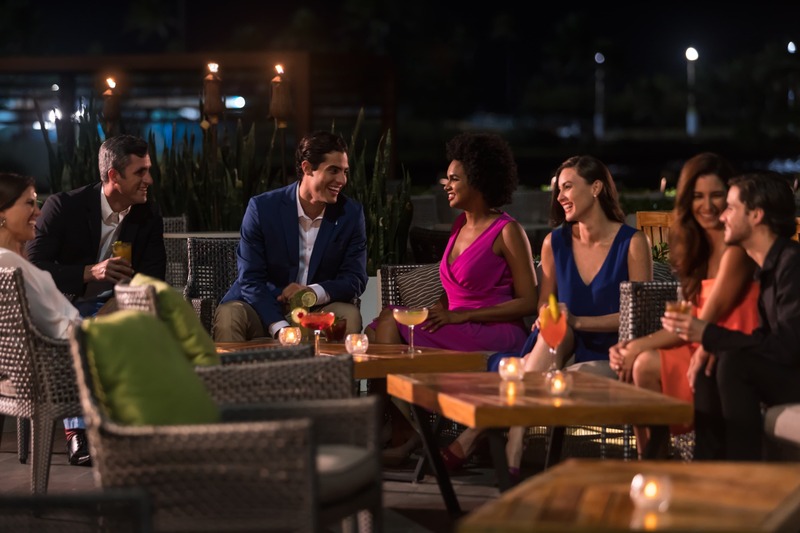 When you arrive at Caribe Hilton, you’ll find more than just a place to stay – it’s a place to come alive. With 652 rooms and suites recently renovated to choose from, discover a vacation that is as comfortable as it is memorable. 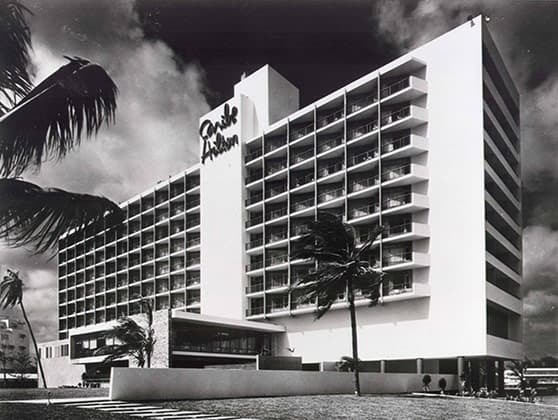 Celebrate the 69th anniversary of the Caribe Hilton and make your reservations today for the debut of this newly renovated resort. 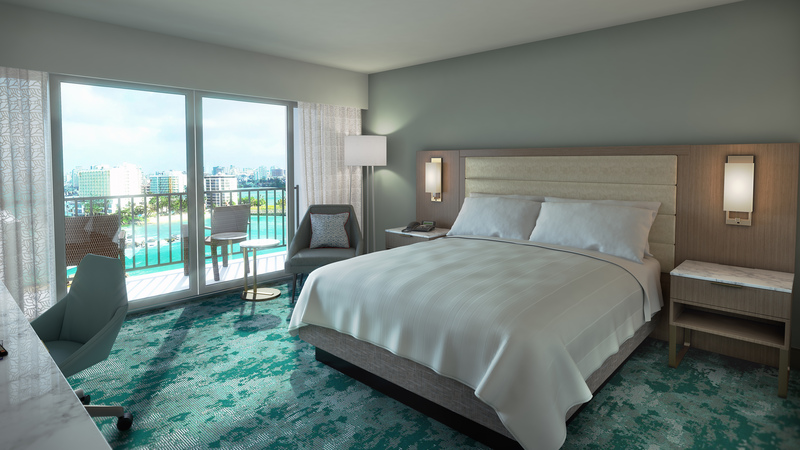 With design influenced by the vibrant culture and rich history of the Island, this Puerto Rican icon is accepting reservations for arrival starting May 15, 2019. 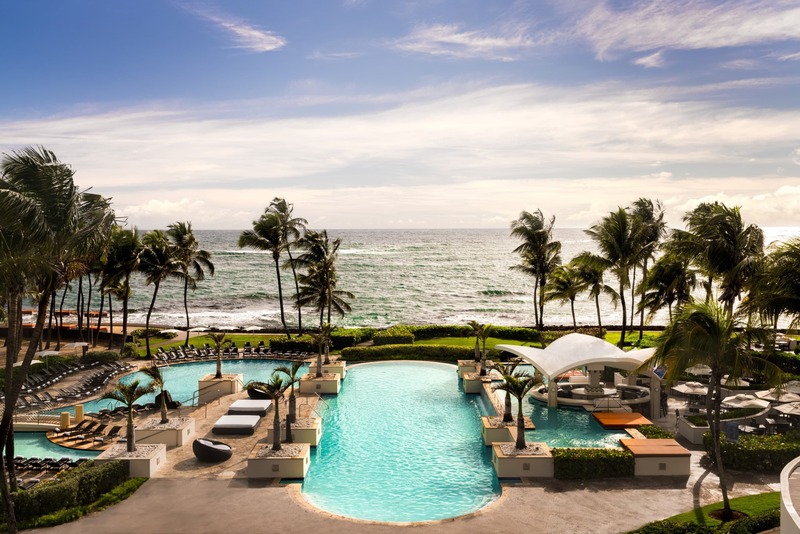 Laze in a beach cabana, learn to scuba dive or take a dip in our multi-tier oceanfront pool complex. Revitalize in the full-service spa and fitness center, or challenge each other to a game of tennis. Bringing the whole family? We’ve got an outdoor playground to keep them entertained. 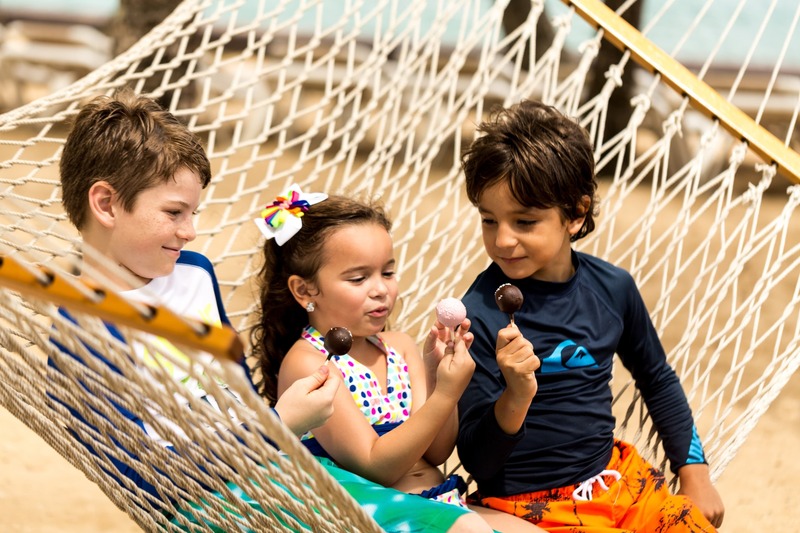 Sample a taste of paradise at Caribe Hilton. With ten diverse dining options – ranging from classic Italian to Caribbean concepts to delectable authentic Puerto Rican creations – we’ve got the full culinary spectrum covered. Remember to try our famous Piña Colada! No matter the size of the event you’re planning, you’ll find the ideal venue, modern audio-visual equipment and all the support you need at newly renovated Caribe Hilton. More than 65,000 sq. ft. of flexible space, four ballrooms, an auditorium and 24 meeting rooms offer the perfect place to host your wedding or event. 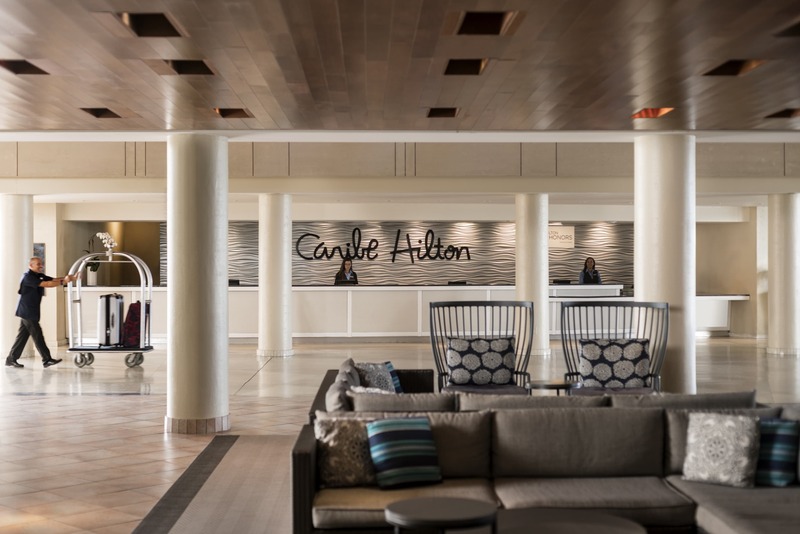 The iconic Caribe Hilton is accepting reservations for arrival starting May 15, 2019. 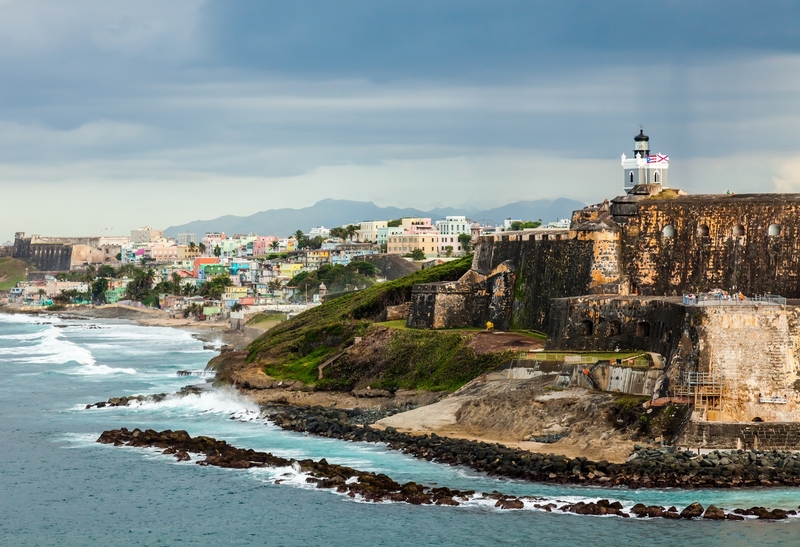 You don't need a passport to visit Puerto Rico.